Slip into the fast lane with SLIPSTREAM WIRELESS, hyper-fast, sub-1ms connection speeds. Simple setup process gets you playing faster - just connect the wireless adapter to a USB port and switch the mouse on or connect with low-latency Bluetooth or USB wired. Play your way with powerful macros and remaps for an in-game advantage. Choose from dozens of stunning customizable lighting presets and effects, or create your own. Lightweight construction weighs just 99g, so you can play longer without fatigue. Contoured shape and rubber side grips provide long-term comfort and confidence in your grip. Play wirelessly for up to 60 hours* or plug in for wired mode to keep playing. Ultra-durable Omron switches rated for more than 50 million clicks, and a performance 10,000 DPI optical sensor give you the confidence to make crucial shots when it counts. Ultra-light for all-day scrims. 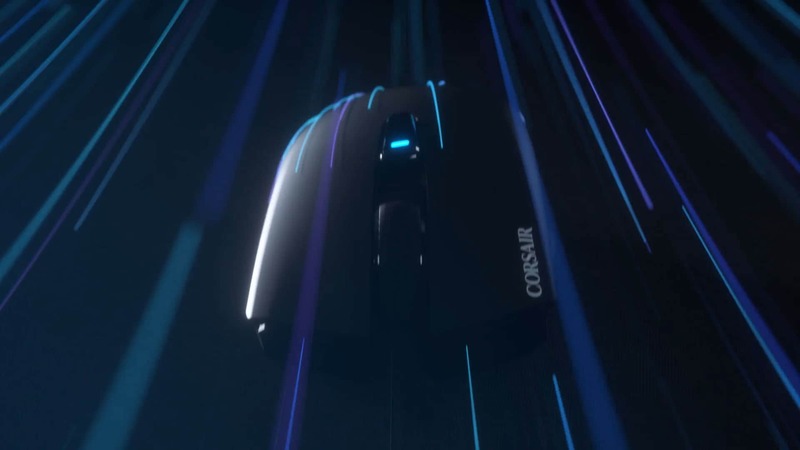 Ultra-fast wireless for no cable drag in competition. The same comfortable shape I love. The CORSAIR HARPOON WIRELESS is the perfect mouse for me.